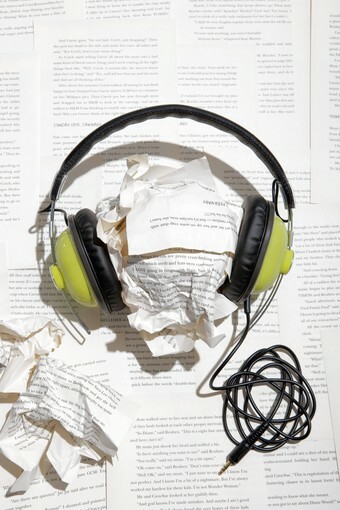 Last April, journalist Jenni Laidman discovered that an audiobook is more than just some guy reading. The epiphany came after hearing Ron Silverman read Philip Roth’s American Pastoral. That’s when she encountered the Nathan Zuckerman of her imagination. Logging over 100 audiobooks gives Laidman the authority to ask the perennial question: isn’t reading a book superior to listening to it? She turns for advice to Don Katz, founder and CEO of Audible.com. Actors formerly told to “read bland” were given very different directions by Katz, who brought in marquee names to read books in a dramatic fashion: Kate Winslet, Anne Hathaway, Colin Firth, Dustin Hoffman, Susan Sarandon, Nicole Kidman, and Hilary Swank, to name a few. The next person turned to for advice is Arnold L. Glass, a professor of cognitive psychology at Rutgers, who has good things to say about both reading and listening. The piece concludes with clips from five great narrators, including Simon Slater’s reading of Wolf Hall by Hilary Mantel.